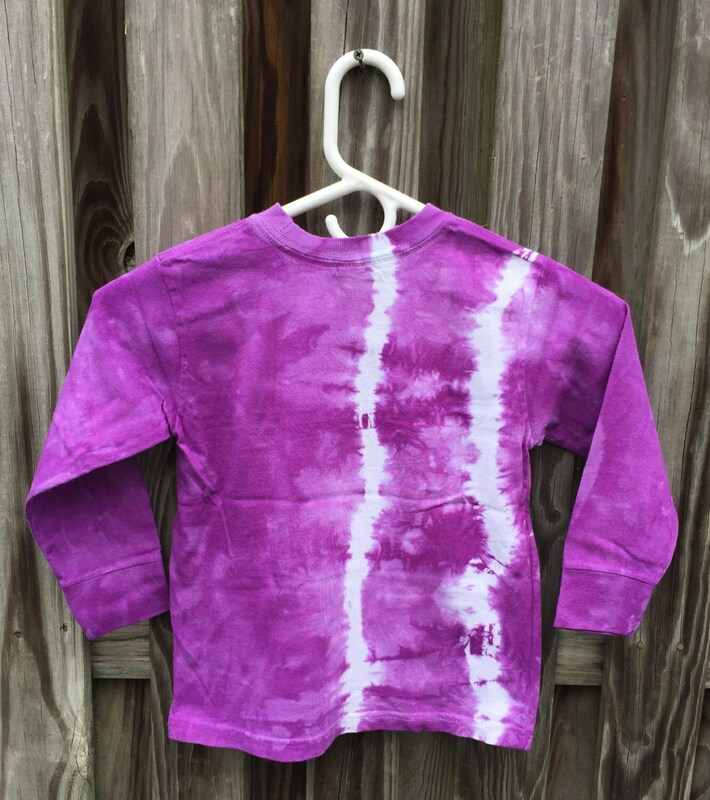 Four batik hearts dance down one side of this long-sleeve purple kids shirt. 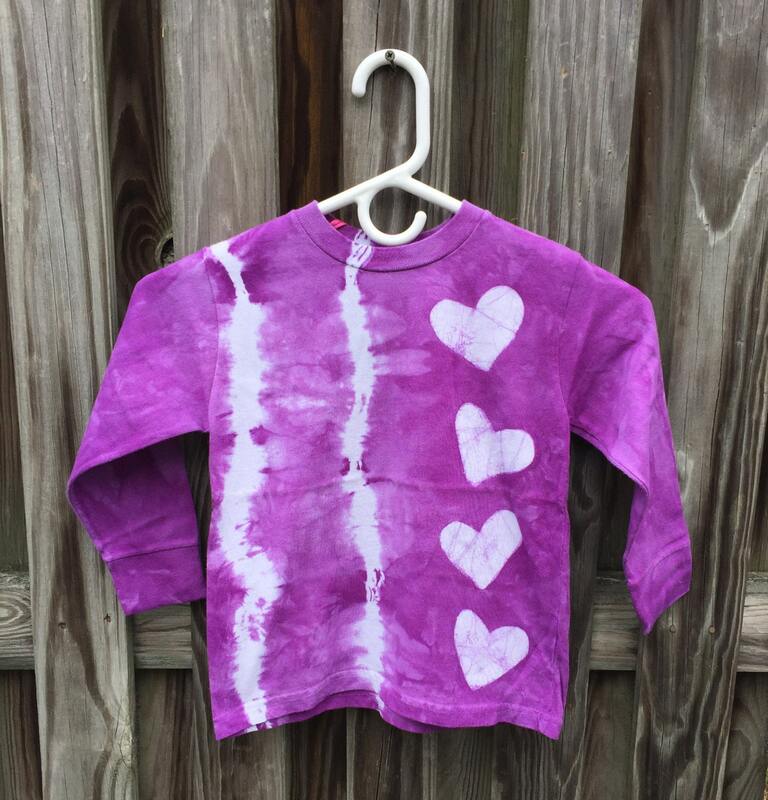 I stenciled on the hearts and added some tie dye before dyeing the shirt grape purple. This is a size 5/6 (fits like 4/5) Rabbit Skins brand long-sleeve shirt. 100 percent cotton. Fun for Easter and every day!